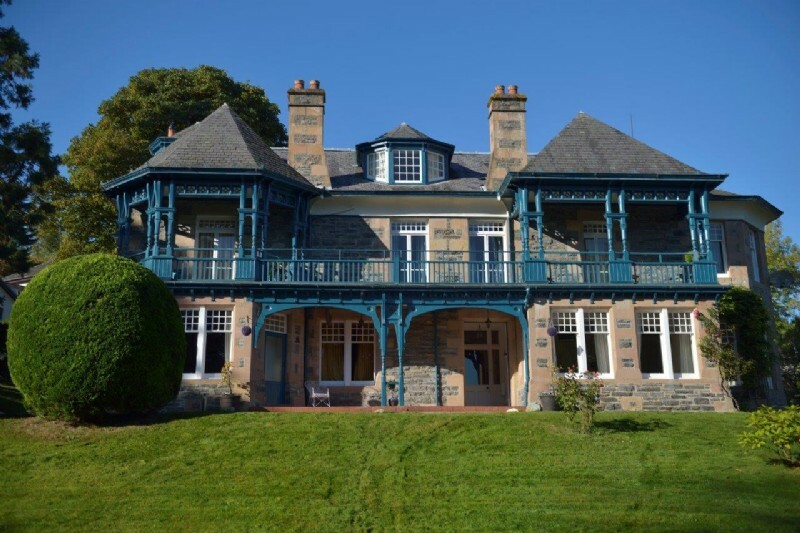 A stunning Victorian spa hotel in Strathpeffer, Rossshire has been brought to market with a selling price of offers around £565,000. The category B listed Dunraven Lodge, dating from 1901, was originally built by sisters Catherine and Aline Corbett. They decided to build a hotel due to the influx of wealthy Victorian visitors descending on the fashionable town for the spa waters and the clean, fresh air of the Highlands. Strathpeffer and its sulphur wells were originally exploited in the late 1700s for their health benefits, believed to cure a range of ailments. Strathpeffer’s original pump room was built around 1860 – still in evidence in the town – and which allowed for spas to be served by the spring water. When the railway lines through the Highlands were built from the 1860’s it opened up previously more isolated towns like Strathpeffer and brought visitors from London on the sleeper trains. During this time, many of the larger properties were built with a view to letting them out to visitors during the busy season and more hotels and spas like Dunraven Lodge sprung up. The town’s distinctive Victorian architecture and many of its historic features and spas have been preserved. 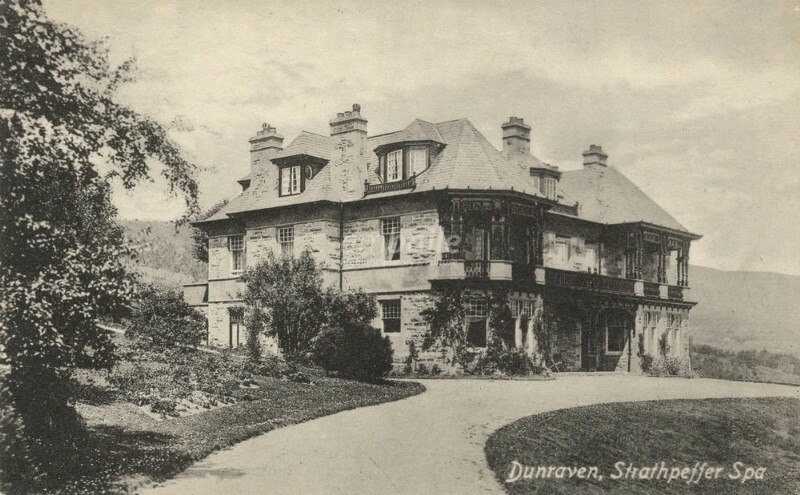 After the First World War, many of the Strathpeffer large hotels including Dunraven Lodge were commandeered for convalescent accommodation for wounded servicemen. After the Second World war, Dunraven Lodge served as a Church of Scotland care-home for the elderly, and this continued into the 1970’s when the building was converted back into a hotel. Orlaith Brogan, spokeswoman for SPC Scotland, said: “Dunraven Lodge is located on Golf Course Road and its extensive 1.5 acre grounds offers fantastic views across the surrounding countryside. Dunraven Lodge is on the market through Harper Macleods, at offers around £565,000 and can be viewed on hspc.com and through SPC Scotland.